271/365(+1), a photo by Luca Rossini on Flickr. The first video-game I have memories about is Digger. It was released in 1983 and I remember seeing kids playing with it on the beach where I used to go in those years. So, it must have been 1983 or 1984, that is, I was four or five at the time. I remember very clearly, because I haven’t seen the game since but when I installed MAME on my laptop in 2001. I was randomly playing with all the thousands ROMS I had at the time, when I stumbled into Digger and I immediately realized I had finally found that video-game, the first one, the one which gave me the addiction. From that time on I spent so many coins on those machines that I could have probably bought a car instead. And then my cousin gave me her old VIC-20, but I liked way better the Commodore 64 that some of my friends had at elementary school. Especially because the 64 could play Double Dragon, my favorite game at the bar. When I finished the elementary schools, my father bought and Amiga 500, and that one was really cool. Beautiful graphics, nice sounds, and fast loading thanks to the floppy disk (the VIC-20 used cassettes!). 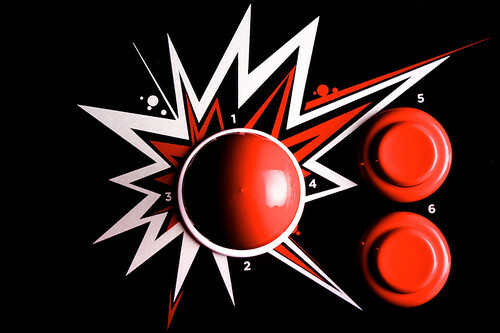 The biggest limit of the Amiga was the single button joystick. I don’t know why there was no way to integrate more buttons in the joystick, since the computer had a keyboard. Anyway, that made it impossible to play with the new fighting videogames such as Street Fighter II or Mortal Kombat that where changing the video-game world in the early nineties. So, I kept playing (and paying) a lot at the bars. In 1996 I sold the Amiga, my electric piano, and a few other things to buy the very first Playstation. That was a real revolution. Three dimensional games which looked and played as good as at the bar. I became a guru-player of Tekken. I think I’ve never (and never will) be so good at any video-game. Then Resident Evil arrived, and I discovered (together with my friends) how scary a game could be, and I remember how much fun we had with the first Need for Speed. In 2004 I left my parents house and moved in with Claudia in the flat at Villaggio Olimpico, and one of the very first things I bought for the new house was an XBOX. With that I entered into the world of HALO, Pro Evolution Soccer, and Splinter Cell (and I played many, many other games). In 2007, when the Euopean Space Agency offered me a very well payed job after the initial stage, I celebrated buying a Nintendo Wii. It was intended to make it easier for Claudia to play games, and it worked quite well. Besides the Wii Sport, we played a lot with Mario Kart and discovered the tremendous fun of Guitar Hero and Rock Band. During all these years, the video-games have evolved incredibly, until becoming incredible immersive adventures which required hours of playing to be properly enjoyed. Which happened to be a problem when, in 2008, we moved back in Italy and I started the “second activity” of photography, and I suddenly found myself unable to play with my Wii, or laptop, or PSP (yeah, I skipped that in the story) “properly”. I was playing less and less, till I found my self free of the video-game addiction. So, what’s pictured in this shot and why am I giving this talk? Well, one week ago I found Metal Slug 3, one of the games I fed more coins in at the bar in the old days, on the AppStore. I immediately bought it, but just to find out that it was very uncomfortable to play with the touchscreen. 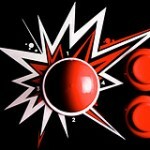 Then I found the iCade Core on Amazon. A full arcade joystick with eight buttons that connects via bluetooth with the iPad and allows playing Metal Slug (and a few other games) with the same feeling of being at the cabinet. Fellows, it’s amazing. So long, my addiction is back. Cool photo. I have a similar one somewhere in my archives – I’ll dig it out sometime. I’ve also got quite a long relationship with computer games, which I will explain sometime. Not too dissimilar to you; I’ve lost both time and motivation to play most new games (woes of being an adult), but emulation and re-releases of older favourites takes up a lot of my commutation time. Have a great weekend, Luca! I like games, but I can’t play for long without losing interest, assassin’s creed was a standout thought I love being able to run around in worlds long gone, and it was the only way for my to climb the walls of the Colosseum :). Hey Luca did you get my email? I’m currently very busy trying to get ready for a fashion assignment!